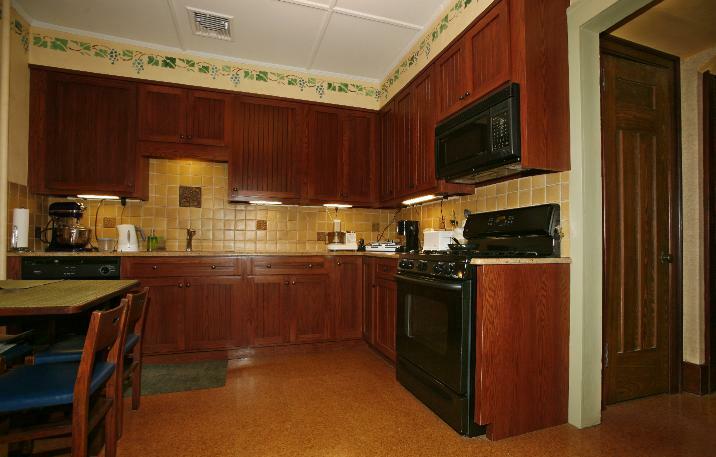 Experience time travel and come back to a simpler life in a home that embraces you with warmth and tranquility. Craftsman House No. 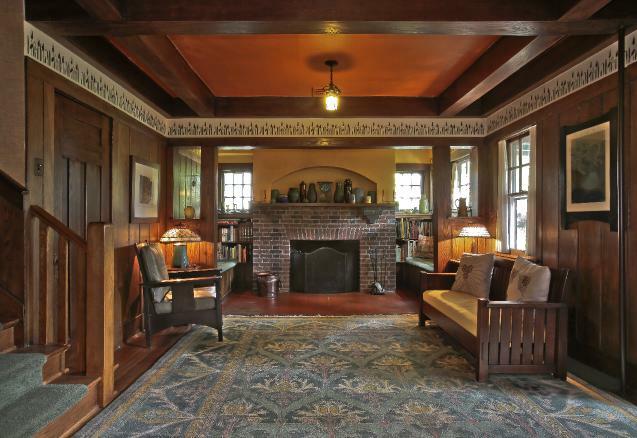 104, designed in 1911 by Gustav Stickley is on the National Register of Historic Places and has been lovingly restored and updated. 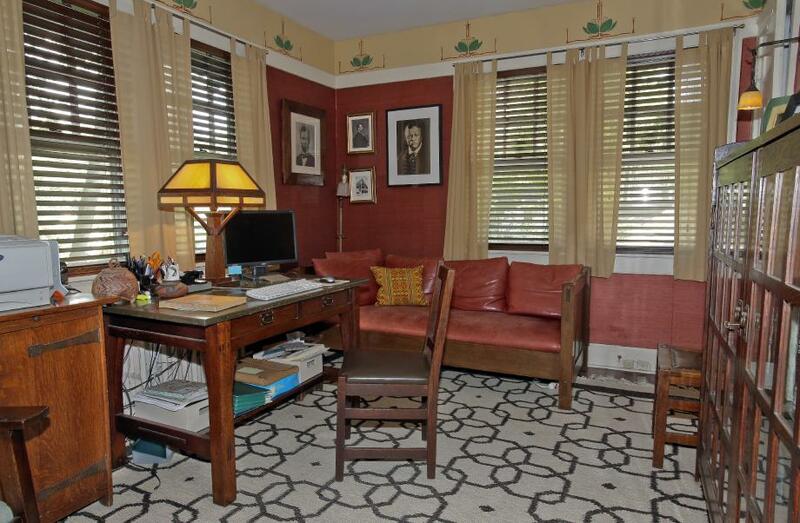 It is sited on an oversized lot with beautiful gardens and mature trees, located in the coveted Latchstring area of Oradell, recently selected as the Best Family Town in New Jersey. 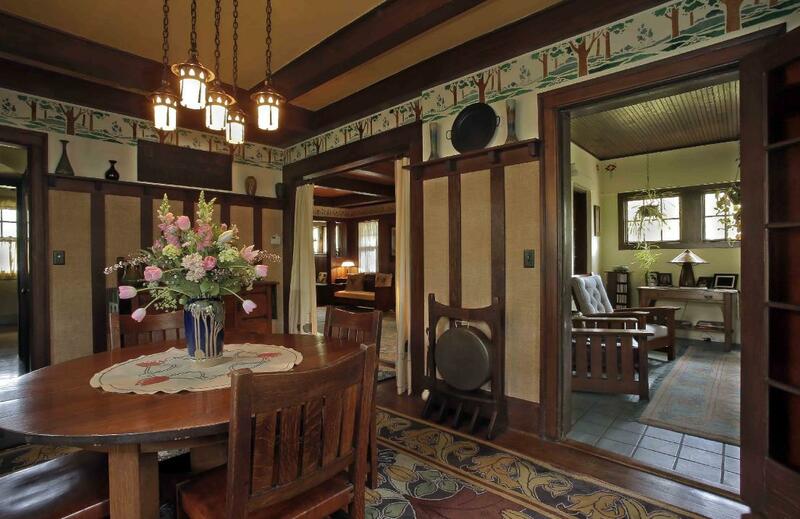 The first floor delights with chestnut wood paneling in the Living Room, cypress beamed ceilings and hand-painted Stickley stencils. 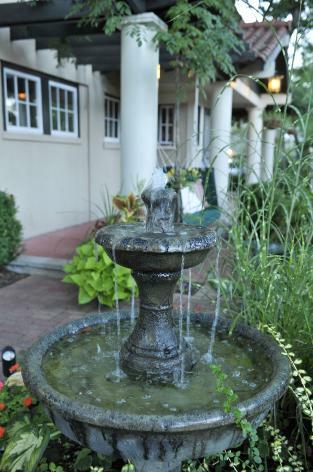 Warm yourself by the tapestry brick fireplace surrounded by inglenook benches or relax in the spacious, sunlight filled Family Room overlooking a brick patio inviting alfresco summer dining decorated by a fountain and rock garden. 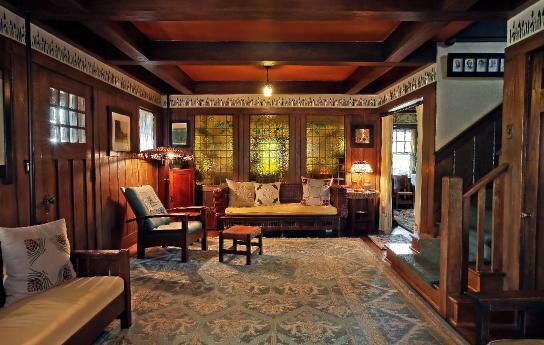 The warm feelings continue upstairs where walls of the four bedrooms are textured by beautiful grass cloth, each in a different, subtle color, and are ringed by arts and crafts stencils direct from Stickley’s The Craftsman magazine. The third floor surprises with a large, fifth bedroom, a full bath and multiple storage areas - an excellent spot for a teen-ager’s hideout or a private guest suite. The partially finished basement offers up a darkroom, wine cellar, spaces for an office, laundry and workshop. 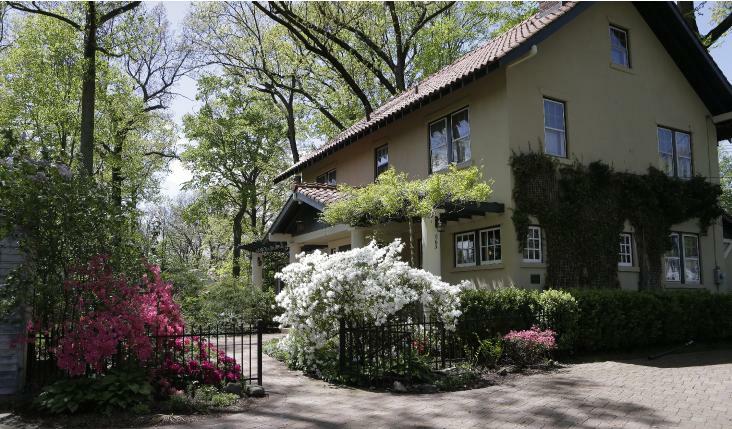 While embracing the past, it is easy to step into the present: only 40 minutes from mid-town Manhattan via train, bus or auto, Oradell exudes a small-town atmosphere with a great coffee shop, regional theater, beautiful parks and playgrounds, along with houses of worship of every denomination. 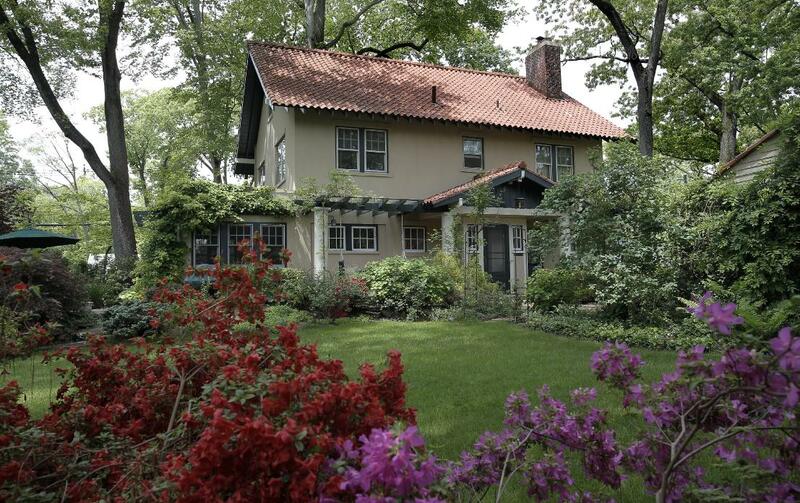 The 8,000-family community boasts Blue Ribbon schools and is only a minute to the bus stop for NYC and a 10-minute walk to the train station. 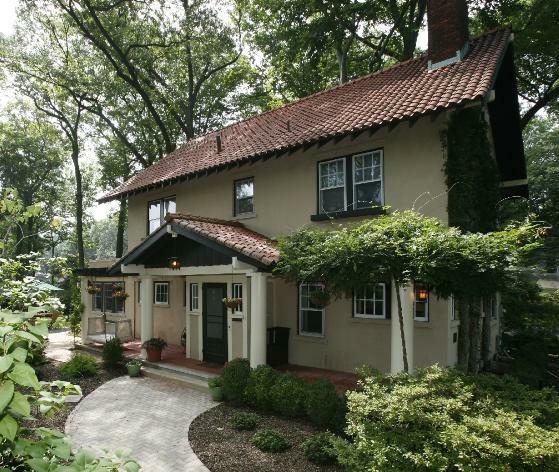 It’s also minutes from several shopping malls, Trader Joe’s, Whole Foods Market and Fairway. And you’ll need to shop, because you will entertain in style—it is a fantastic party house in all seasons! Updated through the years, this truly breathtaking home offers the beauty of 1911 craftsmanship along with the comforts of modern day living. Built with an exterior of hollow tile block, the house was designed to be fireproof and efficient to heat and cool (it is!) and it still has the original Ludowici Spanish tile roof (with care it should last another 100 years—the tiles are still made today). Natural gas cooking and heat. Air conditioning was installed in 2006. Separate two-car garage with automatic garage doors. Water heater and furnace are less than 10 years old. After 32 years we are now reluctantly putting No. 104 on the market. We feel privileged to have been the custodians of this home; it is has served us well. Stickley’s philosophy that the home environment is the key to building good character and good citizens has certainly been true in our case, but the children have moved on in life and we must do so too. Now it is your turn to experience this most special home in a most special town. It will be the experience of a lifetime. 12 rooms: Entry foyer, formal living room, formal dining room, family room, eat-in kitchen, pantry, five bedrooms and 2 ½ bathrooms. 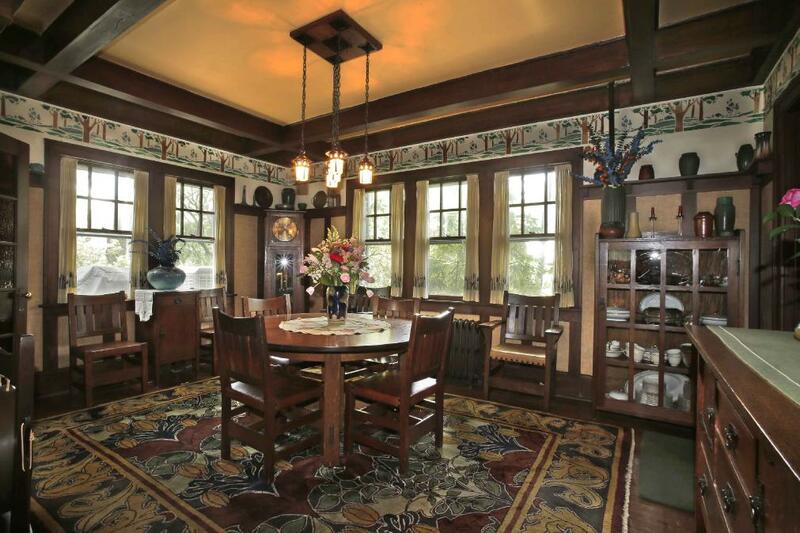 Aprox 3000 sq ft. Stickley light fixtures negotiable. Ideally available in March 2017, but that is negotiable. 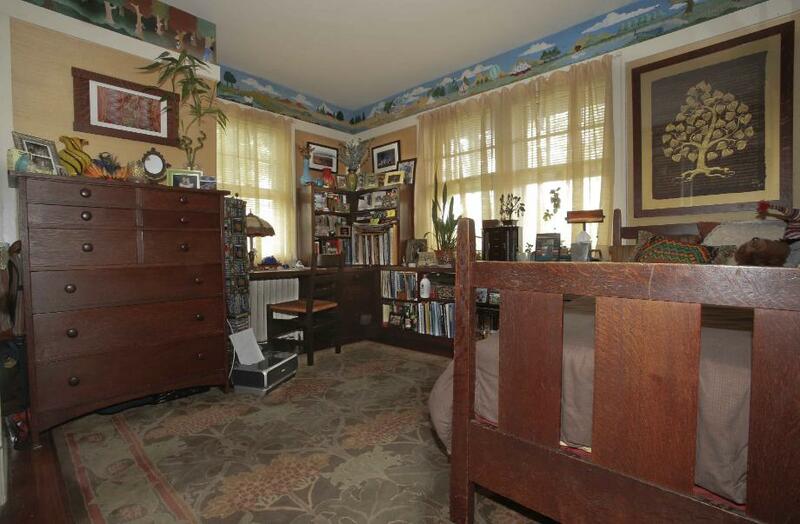 Asking Price: $850,000. 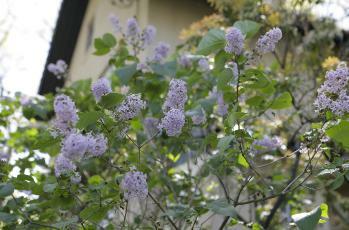 The garden blooms from Spring to Fall, but is resplendent in spring with Azaleas and Rhododendrons and also features a number of lilacs and carpet roses. 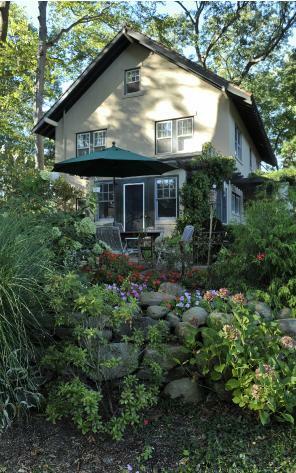 The Boston ivy has grown on the north side of the house since 1911. 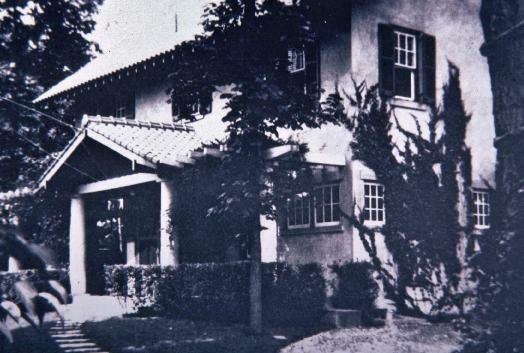 Pictured in 1913, the house was built by attorney Edward W. Vaill in 1911 on the top of a hill overlooking the village of Delford (now Oradell). The house as pictured in the December 1910 issue of The Craftsman. 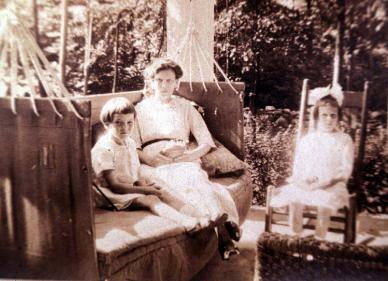 Helen May Vaill and Edward, Jr. sit in the Gloucester Hammock hung from the pergola as Amy sits on a fancy rocker on the porch in 1913. 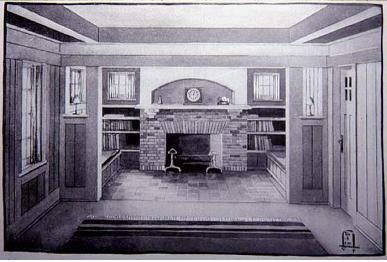 The fireplace inglenook as pictured in The Craftsman. 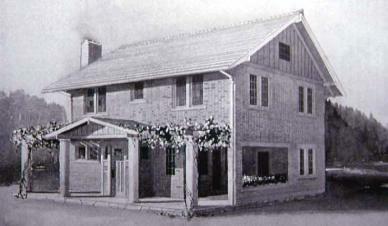 The house as built by the Vaill's reversed, or mirror imaged, the Stickley plans. At left, the restored livingroom and ingleknook. 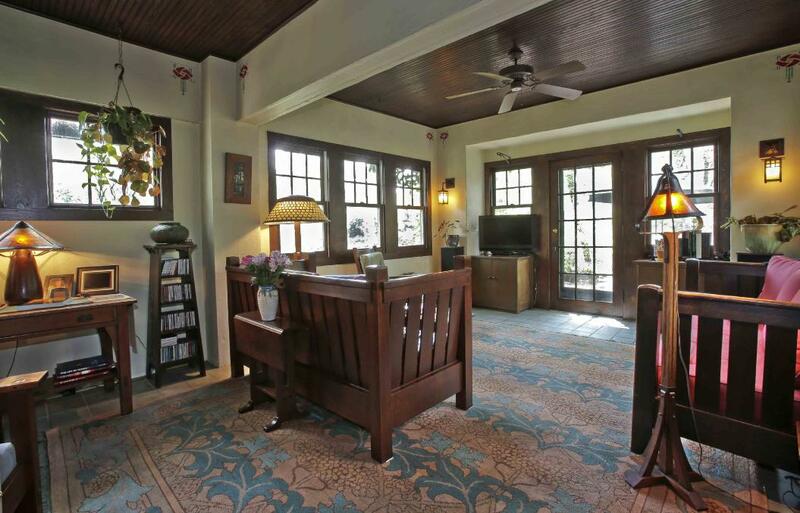 The Family room extends the original outdoor "dining porch" and features a "Rose" stencil by C.R. MacIntosh. 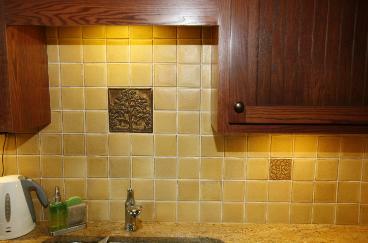 The Kitchen, with a detail photo of the handmade tiles.The Stencil is "Grape" by Helen Foster. The stove is a five-burner GE Profile. The pantry leads from the Kitchen to the Dining room. 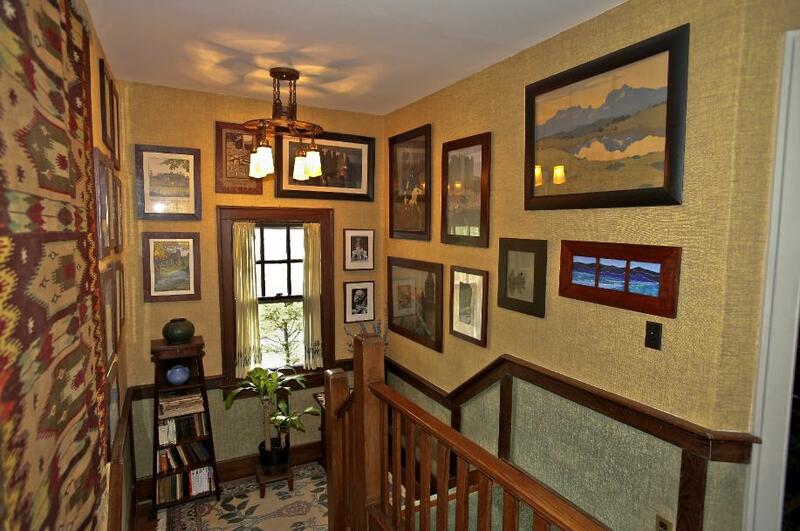 Large and spacious hall is at the top of the staircase.The wallpaper is Jute fabric. 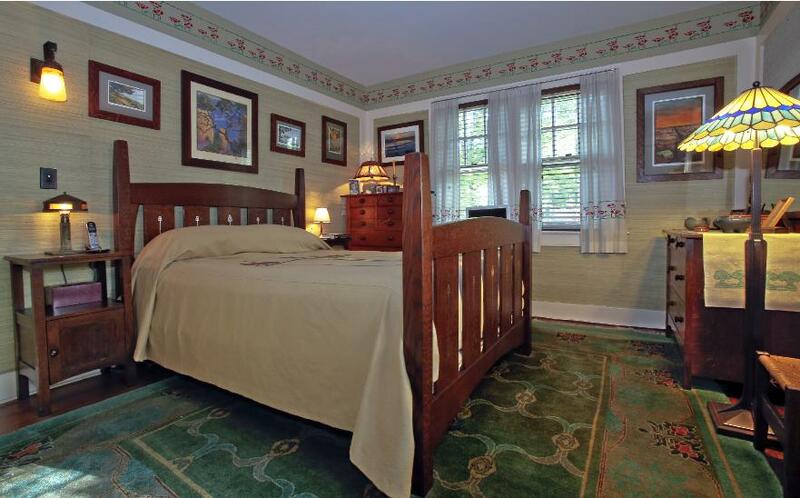 The Master bedroom features a green grasscloth and a Stickley "Poppy" design stencil on the freize. Bedroom 2 features a yellow grasscloth wallcovering and the freize is a one-of-a-kind hand painted children's fantasy. 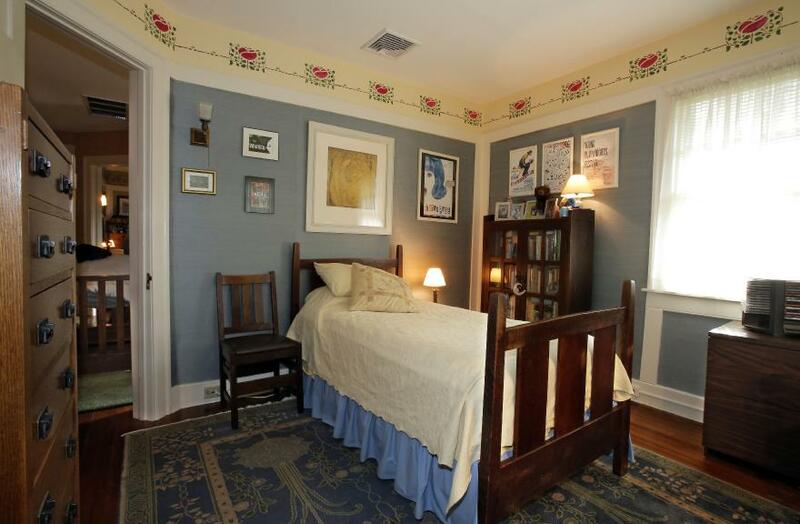 Bedroom 3 features a "Wild Rose" stencil design by Stickley and a blue grasscoth. Bedroom 4 is currently used as a den/library. 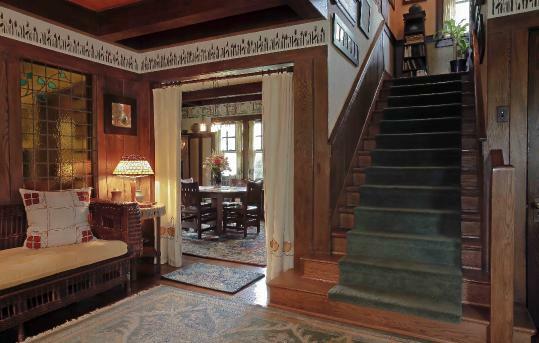 It features a red grasscloth and a Stickly stencil design from a 1905 The Craftsman. 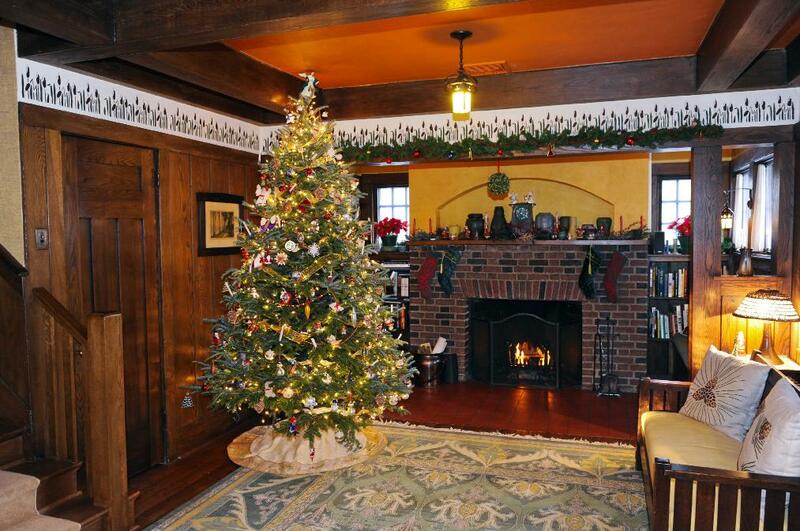 The Holiday season is a magical time in the home—it decorates beautifully for the season.